1. Ha Long Bay - Ha Long in Vietnamese means “descending dragon.” You might be wondering why, but dragons do play an important role in Vietnamese culture. Legend has it that one such dragon and her children descended from heaven to defend Viet against invaders, spraying them with fire, emeralds, or jade. The dragon and her children eventually stayed on Earth, and the jewels are said to have formed the towering limestone formations by which Ha Long Bay is now characterized. This national treasure is a UNESCO World Heritage Site and is located in the northeastern part of Vietnam. According to UNESCO, the turquoise waters are home to nearly 1,600 mostly uninhabited islands. Ha Long Bay is about 100 miles from Hanoi and is best traveled to on a two-night boat tour. It’s amazing to catch sunrise and sunsets on the boat and take part in hiking or kayaking activities on the bay. 2. Cu Chi Tunnels – Communist guerrilla troops known as the Viet Cong (VC) dug thousands of miles of tunnels running underneath the Cu Chi district northwest of Saigon as a defense against the American and South Vietnamese forces during the Vietnam War. Soldiers used these tunnels to house troops, lay booby traps, and conduct surprise attacks. To combat these attacks, Americans and the South Vietnamese troops used trained soldiers to navigate these tunnels to detect these booby traps. The Cu Chi tunnels are now a popular tourist attraction but also a terrific opportunity to understand history. 3. Phu Quoc – Phu Quoc is often known as the pearl islands of Vietnam. Phu Quoc boasts around 28 islands to explore, with annual average temperatures of 27c. Vietnam might not be praised for its beaches but this island is home to Bai Sao, which boasts of sugary white beaches, swaying palm trees, and the beautiful turquoise sea. There’s also a lively night market and plenty of snorkeling! Fun fact: Phu Quoc is also home to one of the world’s longest overwater cable car. 4. Hoan Kiem Lake – Hoan Kiem Lake is located in Hanoi, Vietnam’s capital city. The lake is known for its peaceful atmosphere. Early mornings are my favorite when you can see locals walking, exercising or simply enjoying the scenery from a bench. Located in Hanoi’s historic district, legend has it that Emperor Le Loi received a magical sword from the Dragon King to fight against Chinese oppression. It is said the sword came from Hoan Kiem Lake. After what ended up being a successful battle against the Chinese, the Emperor visited the lake and was boating through the waters when an enormous golden turtle surfaced. The turtle explained to the Emperor that he was sent by the Dragon King to retrieve the sword. The emperor gave the sword back to the turtle who then disappeared under the water. Le Loi then named the lake, Hoan Kiem meaning “Lake of the returned sword”. Turtle Tower can be seen in the middle of the lake and turtles are now revered around this lake. 5. Visit the world’s largest cave – Hang Son Doong is a three-million year-old cave in central Vietnam. The cave is located in UNESCO-listed Phong Nha-Ke Bang National Park. To understand just how large this cave is, imagine the main cavern is large enough to house an entire New York City block. Tours to this cave run only once per week between February and August. Only ten customers per departure are permitted and only one tour operator runs this five-day expedition, thus protecting the cave from mass tourism. You can see rare limestone cave pearls in dried pools and the largest stalagmite at 80 meters tall. Collapsed ceilings have created openings, allowing for foliage to grow inside the cave, meaning microscopic organisms do exist here in the darkness. 6. 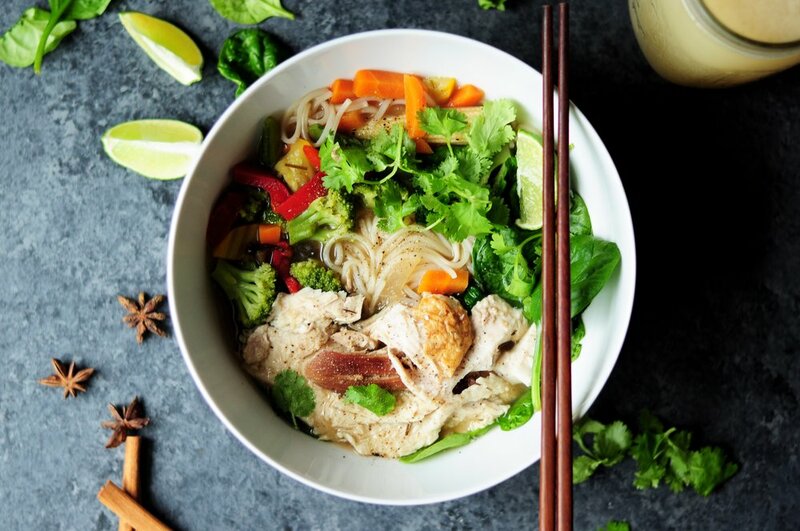 Eat Pho in Hanoi – Pho is the ultimate staple dish in Vietnam but you cannot visit Hanoi without having a traditional bowl of pho. Pho is also considered the delicacy of Hanoi cuisine and Hanoians tend to eat it for breakfast, lunch or dinner. Pho restaurants in Hanoi are scattered throughout the city and can be had even street side. I ate pho in a restaurant and in a street stall in the Old Quarter and found both experiences to be amazing. Pho for breakfast was harder for me to digest as my system wasn’t used to it but I can see why people prefer this dish for breakfast. Pho is a noodle soup consisting of broth, rice noodles, herbs and meat primarily beef or chicken. 7. Trekking in Sapa – Sapa located in Northern Vietnam is home to Fan Si Pan, Vietnam’s highest peak. Imagine the views of the terraced rice paddy fields from here that tend to line Sapa’s valley walls. Sapa is also home to several ethnic minorities. The H’Mong, the Dao and the Dai live here. Trekking is a popular tourist attraction and staying and visiting with the local tribal people allows travelers immersive insight into the culture. 8. Cycle around Hue – Hue is a great place to cycle through, as you can see the beautiful surroundings easily via this mode of transportation. Some of the main sights you can cycle around are the Citadel, which is the centerpiece historical sight of the city; from the citadel head toward the Hien Garden House to take a look at a traditional house and temple circa 1895, set in stunning gardens. Further along you will find the Thien Mu Pagoda (but beware the crowds!). On your way back stop by at Hue’s colonial era railway station and the Quoc Hoc, National School on Le Loi St. For longer cycling routes check out the Gia Long’s Tomb, Minh Mang’s Tomb and the many other churches, pagodas and alternative streets around Hue. 9. Bahn Mi in Hoi An – According to Anthony Bourdain, the best Bahn Mi is in Hoi An. So I went to the same place in lovely Hoi An to see if this was true. It’s a restaurant with proper space to sit down and inhale that Bahn Mi but you will find a line at the entrance, although it moves pretty quickly. The kitchen is at the entrance so you can see how they make your Banh Mi. They have lots of selections including pork, beef and vegetarian and the Bahn Mi I had was less than one dollar. In fact, I would go there for lunch and have two at a time. That’s how delicious they are. The name of the restaurant is Banh Mi Phuong and be prepared to have more than one! 10. Ho Chi Minh City Museum – This museum is a grand neoclassical structure built in 1885 and also known as the Gia Long Palace. The museum is a great place to start your exploration of Vietnam in many ways. Understanding the country’s history is essential to experiencing the region today. The museum tells the city’s story through its archaeological artefacts, ceramics, old city maps and displays on the marriage traditions of its various ethnicities. The upper floor is devoted to Vietnam’s struggle for independence. Have you traveled to Vietnam? Share with us the highlights of your trip!